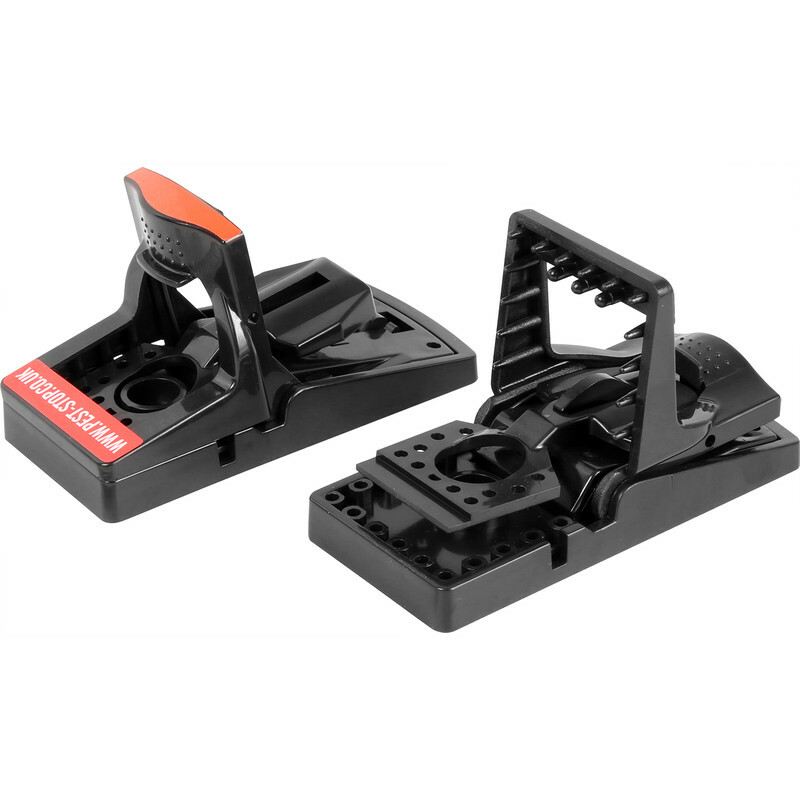 Sure-Set Mouse Trap (2 Pack) is rated 4.9 out of 5 by 35. Rated 5 out of 5 by TomandJerry from Good sturdy Items Ordered online and collected. Greeted as soon as I entered the shop. Pleasant and efficient employees. I was in and out in a matter of minutes without any fuss at all. Those mousies didn’t stand a chance...if they hadn’t chewed my new bedroom carpet they might’ve had a reprieve. Rated 5 out of 5 by HooseMoose from Much better than traditional wooden / wire traps Got these the other day and they have so far been very successful. A much better design than the traditional wooden / wire traps and the strong spring mechanism and pointed edge ensures the mouse is trapped as cleanly and painlessly as possible. Lever at back makes removing the dead mouse and re-setting easy, just watch your fingers! Plastic is also easy to wash old bait off after use. Good value for money. Rated 3 out of 5 by cliveyb from Partly ok I used one, absolutely fine and works a treat, thought I’d use the other, pulled it back, just about to place of the ground, when it snapped shut, jumped out of my hand and broke, never even got to use it, having said that, the other is still working fine, but a bit of a question mark over how long it will last. Rated 5 out of 5 by GKC 1962 from Excellent product I noticed a mouse outside my patio doors. I set some traditional wooden traps that were absolutely useless! The mouse was eating the bait but the traps were not going off. I purchased these traps last Friday and caught the mouse the very same evening! Excellent product and highly recommend! Rated 5 out of 5 by Denvillesman from WOW!! Bought two of these to replace two traditional wire traps. I have rarely found such a piece of innovative and effective design. A seriously major advance on the old ones. So simple to set, and so easily sprung by the target audience. Totally effective in my small polytunnel. The trap has a neat little dish to smear a bit of smooth peanut butter. Highly effective. Should have got them years ago!